SnapNames has exclusive access to millions of expiring and deleting names every year. With a Reseller Solutions partnership with SnapNames, you can offer this extensive inventory to your customer base while also creating a new revenue stream! See which of our exciting reseller programs suits your business best. Become a valued ally to your customers by giving them another tool in their domain acquisition strategy! Download & make SnapNames's massive inventory available to your customer base. Facilitate backorders, acquisitions and payment on behalf of your customers. Adding our Backorder Service to your product mix provides you a valuable program that you can easily bundle and up-sell to your brand and business clients. Create income through our generous revenue share on every name sold via your platform. Flexibility to place the widget anywhere on the page. Generous revenue share on every name sold. Provide your customers the added value of easily acquiring the domain name they need. Let SnapNames help you generate revenue from our massive inventory of domain names. 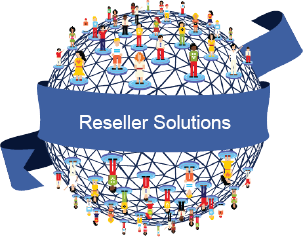 To find out more about our Reseller Solutions, please email us. We look forward to working with you!